Acer has announced a new TravelMate P6 Series notebook, which comes in an ultra-thin form factor with long battery life and up to 24GB of RAM. 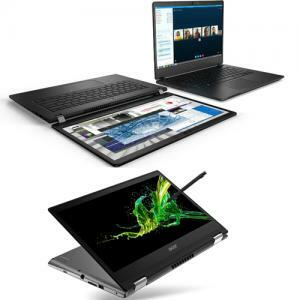 Acer says the laptop is aimed at professionals on the go and comes with features like biometric fingerprint authentication, and up to 20 hours of battery life. The TravelMate P6 weighs only 1.1 kg and is only 0.6 inches or 16.6 mm in thickness. Acer says the laptop also meets the MIL-STD 810G military standards for durability. It comes with biometric fingerprint authentication and an IR camera with Windows Hello. The laptop has a full-sized and back-lit keyboard. The P6 also comes with damage-resistant Corning Gorilla Glass NBT touchpad, which supports precise gesture controls and swiping. Acer says the Corning Gorilla Glass is tougher, more resistant to scratches, and easier to clean. The new laptops run Windows 10 Pro and comes with up to 8th Gen Intel Core i7 processors and up to 24GB DDR4 memory. For graphics, Acer is offering up to NVIDIA GeForce Mx250 graphics. Maximum onboard storage on the laptop is 1TB Gen 3 x4 PCIe SSD.